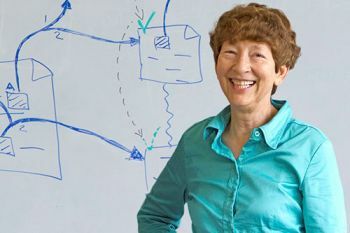 Coinciding with World Usability Day, Association for Computing Machinery (ACM) Distinguished Speaker, Professor Margaret Burnett, will address the topic: “Is our software gender-inclusive? How can software developers and UX practitioners know?”, on 12th November at 6:30pm in ELG03, Drysdale Building. As part of City’s celebration of World Usability day on 12th November, the Centre for Human-Computer Interaction Design (HCID), will be hosting a public lecture delivered by Professor Margaret Burnett. She will address the topic, “Is our software gender-inclusive? How can software developers and UX practitioners know?” at 6:30pm in Room ELG03 in the Drysdale Building. The Association for Computing Machinery (ACM) Distinguished Speaker, from Oregon State University notes that men and women use software differently to solve problems: “Gender- inclusiveness in the software workforce is currently receiving much attention. That said, it overlooks a potentially critical factor - the software itself. Research into how individual differences are clustered by gender indicates that males and females tend to work differently with software aiming to help people solve problems (e.g., tools for debugging, for end-user programming, for game-based learning, and for visualizing information). However, many features of problem-solving software are (inadvertently) designed around the way males tend to problem-solve.” Professor Burnett will explain five facets of gender- inclusiveness in software and how they tie into a large body of foundational work from computer science, psychology, education, communications, and women’s studies. She will also present emerging work on the GenderMag method, an inspection method that encapsulates these five facets into practitioner-ready form. Emerging empirical results suggest that GenderMag is remarkably effective at enabling software practitioners to pinpoint gender-inclusiveness issues in their own software. This is the discipline concerned with the study, design, construction and implementation of human-centric interactive computer systems. A user interface, such as a graphical user interface (GUI), is how a human interacts with a computer and HCID goes beyond designing screens and menus that are easier to use and studies the reasoning behind building specific functionality into computers and the long-term effects that systems will have on humans. HCID is a very broad discipline that encompasses different specialties with different concerns regarding computer development.